Baruch Tenembaum and Eduardo Eurnekian. 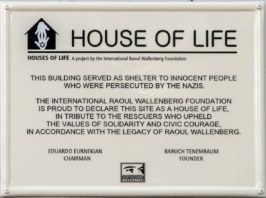 “On November 29, 2017, the Raoul Wallenberg Foundation received the Interreligious Commitment Award 2017, granted by the Suplemento “Valores Religiosos” (Religious Values) of the Clarín newspaper, in recognition of the creation and development of the Houses of Life educational program. Eduardo Eurnekian, president of the NGO, received the distinction. 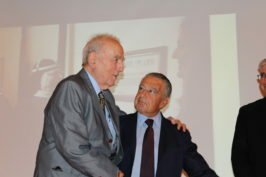 “It is an honour to receive this distinction as President of the Raoul Wallenberg Foundation, a position that I exercise thanks to an offer made several years ago by its founder, my friend Baruch Tenembaum“ said Eurnekian in his words of acceptance. 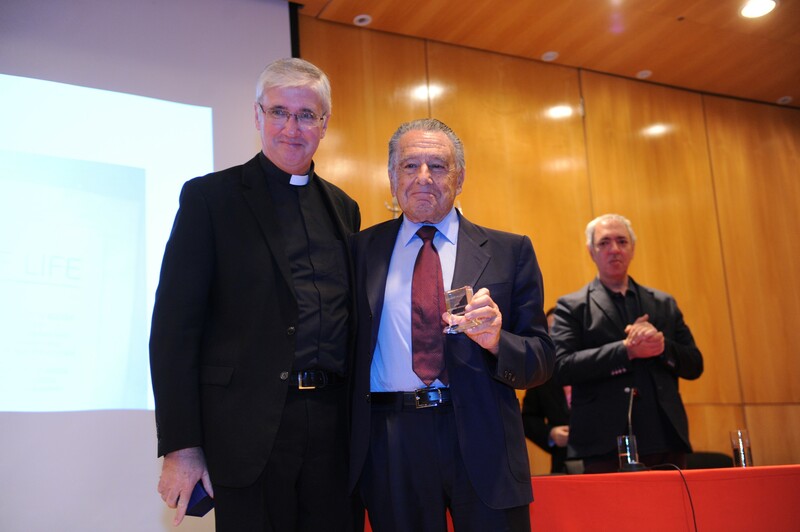 Among those attending the ceremony were Father Guillermo Marcó, Rabbi Daniel Goldman, Professor Omar Aboud, Santiago de Estrada, Secretary of Worship; and José Aranda, vice president of Grupo Clarín. Father Guillermo Marcó and Eduardo Eurnekian. Pope Francis sent a greeting in a message that was screened during the event. “You have sown human relationships, you have sown understanding, you have sown dialogue, you have taught how to lend a hand. I thank you from the soul. We all hear, but not all of us listen. And you have advanced in teaching us to listen. Listen to how the other person thinks, how he sees. And that listening opens the heart. When you listen, you open your heart. When you just hear, the heart is closed. Thanks for what you have done. Thank you for the service you have rendered to social friendship. And thank you for bringing us closer to God. May God bless you and, please, pray for me”, Francisco said. 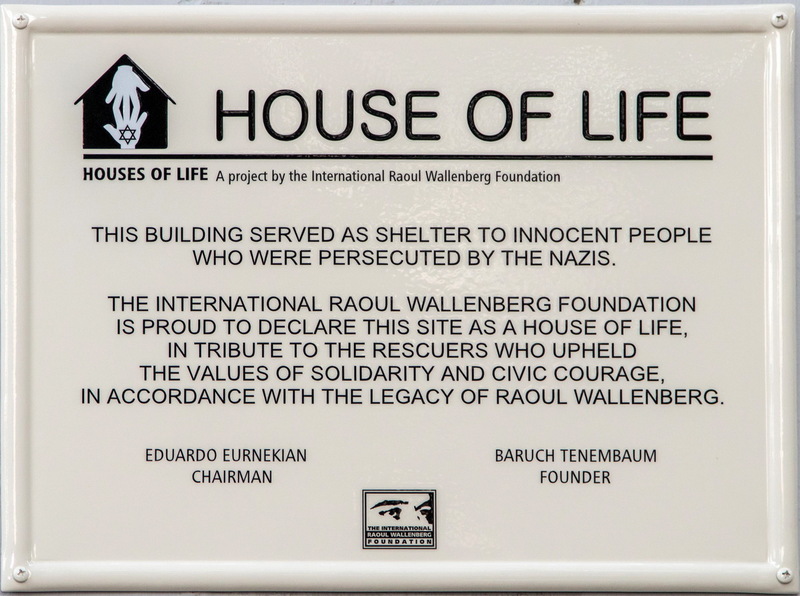 “Houses of Life” is an educational program lead by the International Raoul Wallenberg Foundation aiming to identify, pay tribute and spread the actions of solidarity of institutions or individuals that extended a hand to the persecuted by the Nazis during the Holocaust. The purpose of “Houses of Life” program is to identify and honor those who reached out and helped people in need by risking their own lives, as well as the life of family and friends. There are public places such as convents, monasteries, churches, schools, and privately owned homes, where Jews persecuted by the Nazis were sheltered and were given food and medicines. The program is taking place throughout Europe with the cooperation of Aleteia, the Catholic news agency, with direct involvement of its Editorial Director, Mr. Jesús Colina and Institutional Relations Manager, Ms. Silvia Costantini.